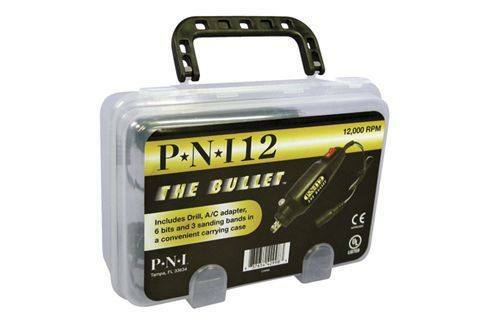 PNI’s PNI12 The Bullet Drill Kit is deceptively compact and powerful, making it the ideal back-up e-file for the experienced tech or a perfect starter e-file for newbies. The kit includes six bits, three sanding bands, and a convenient carrying case for techs on the go. For more information, visit PNI.